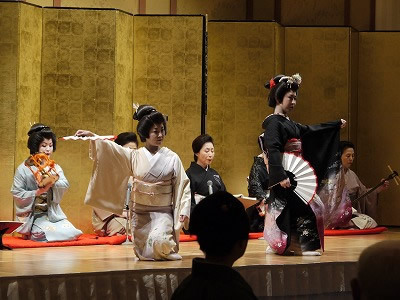 The long history of Higashiyama’s geigi (geisha) includes unique traditions and performance arts which have been passed from senior geisha to their successors. 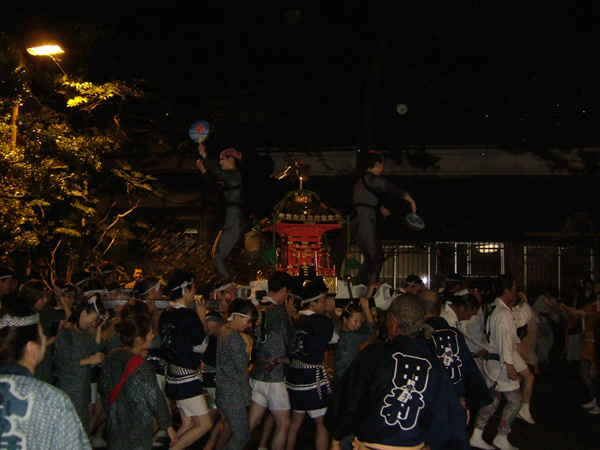 This history of these traditions extends as far as the Edo period. This is a story that started with the clear stream of the Yugawa, and is set in a location like a scene from a movie. Imagine the sound of wooden sandals as a yukata clad figure strolls past: Higashiyama is the perfect travel destination. 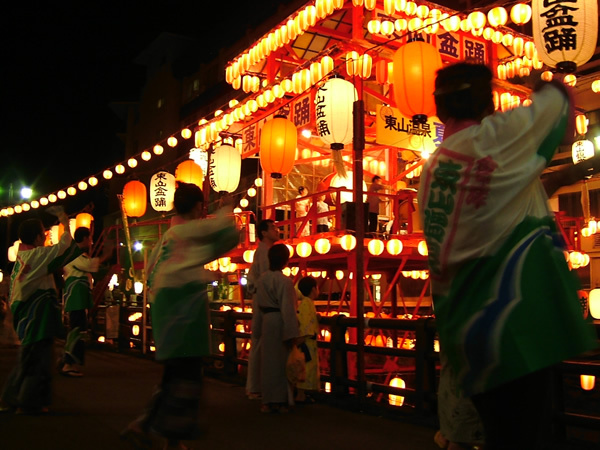 After your meal, enjoy listening to the song and dance of the Higashiyama Geigi. A geigi can play all of the different roles, and will be assigned according to experience and location. 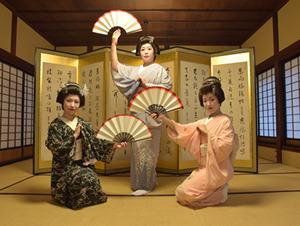 In the parlor, the dancers are in the role of “Tachi-kata”. 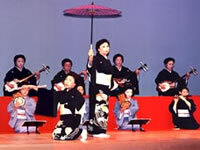 They are accompanied by shamisen, taiko-drumming, and song, provided by the geigi in the “Ji-kata” role. In the banquet hall, enjoy the arts the geigi have been trained in, including singing, dancing, and musical accompaniment. In 1986, The “Byakkotai” theme song was first broadcasted. The song itself has a sad, sweet melody. The geigi dance in time to the song. throw lucky onsen water onto the crowd. 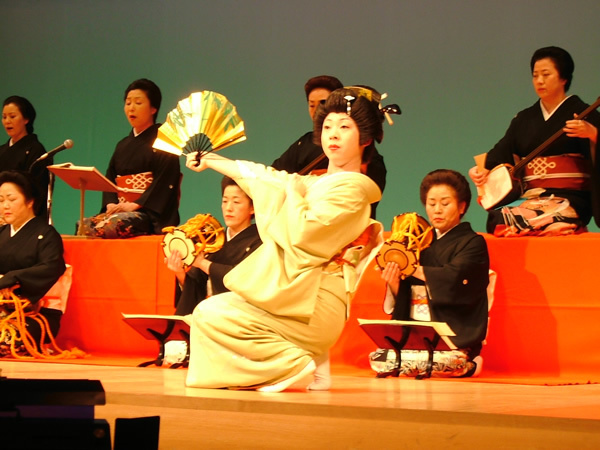 traditional Aizu Bandaisan Meichoshi folksong. By all means, if you are staying at an onsen in Higashiyama, please contact the Higashiyama Geigi. ※if you wish to extend your time, you may do so at 30 minute intervals. To reserve, please apply directly with your hotel or inn.